The Crypt Keeper is cemetery software that you can run on your personal computer (desktop version), or over the internet (online version). It allows you to maintain a database of your cemetery records, with an optional ability to create a graphical map that automatically color codes depending on the contents of your database. Why is it called 'The Crypt Keeper'? We've been working on this software for a long time. Back in the day, a popular form of keeping track of your notes was introduced and called the Trapper Keeper, and we liked that name. This name is meant solely to mean that it keeps track of your graves, and the word 'crypt' was used as an attention getter. There is absolutely no relation to this software and fictional character from a popular TV show. Can I try the software for free before I buy? Absolutely! We WANT you to try the software before you commit. You have a full THIRTY DAYS of free use of the software to try it out, run it through the paces, see if it fits the needs of your organization. During that time you're going to have questions, and you can find the answers mostly on this page, or on our TUTORIALS page which can be found by clicking on that menu at the top of this page, but if you have a question you just can't find the answer to, just click on the CONTACT menu at the top of this page. After 30 days, the software will lock, and if at that time you decide you'd like to keep using the software you would visit the REGISTER menu at the top of this page. Where can I get information about your software? This is the place. Our website is http://CK.tbgtom.com. Here you'll find our FAQ page (Frequently Asked Questions), our Tutorials page (which give you examples and guides you through the software), and our Recommendations page (which gives you testimonials from existing users). Pricing information can be found on these pages also. We've been working with cemeteries since 1992. How many people use your software? Can we contact them? We have several hundred users across North America. We do not give out contact information, but if you click on the RECOMMENDATIONS menu, you can view what current users have to say about our software. Additionally, if you're using our Online Version (either in trial mode, or as a subscriber), you can click on the Forum feature to submit a question to the users that they can answer anonymously. What operating systems does this software support? This will depend if you choose the Desktop or Online version. 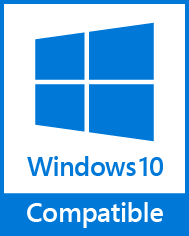 The desktop version supports Windows 7 or higher. The online version supports any operating system with an internet connection... Windows, Mac, iPad, even your iPhone or Android device. What's the difference between desktop and online? We've put together a comparison listing to differentiate between the two versions we offer. CLICK HERE to view that page. How do I get the free trial? For the online version, CLICK HERE. For the desktop version, CLICK HERE. The online version is a repeating payment of $50.00 (USD) billed annually. The desktop version is $250.00 (USD). Is there an extra cost for support? No, support is free of charge. However, support is via email only... no telephone support whatsoever. Can I run my own backups? Absolutely, there is an export feature that gives you an opportunity to download your entire account data at any time via the Online Version, and you can run data backups just as easily using the Desktop Version. Can information be physically mailed to me? No, we offer no printed material. All information can be found on this site. The Online Version is internet based, but we only have dial-up internet, will this work? This will depend on the speed of your dial up connection and if you plan on storing images or have a large map. It may end up being that dial-up speeds are just too slow to use this software, but your best bet is to try the free 30-day account and test with your dial up connection and see if it will fit your needs. Is there a limit to the number of records we can input? No. But for the Online Version, if your organization exceeds 20,000 records we may place you into a different billing structure. Can the fields be changed? Yes... five of the existing fields can be modified to be anything you want. Additionally, you can create any number of completely new fields to use any way you like. How can I do more than one interred to a grave? You can have multiple data records assigned to a single grave, people do this all the time. You assign both records the identical section, lot and grave identifiers. When you view the map you see a single grave, but when you click on that grave in the map it shows you both records. We have existing data, can it be imported/converted? Yes... there is a built in import feature for the Desktop Version. But for the Online Version you would have to send your data to us for import/conversion (no charge). If you're an existing user of the desktop version and want it uploaded to the online version, you can send us your most recent data backup and we can import that for you. Otherwise, send whatever electronic data you have and we'll get that uploaded to your account as quickly as we can. Can the software generate cemetery deeds or invoices? Only with the desktop version. This is not offered with the online version. Due to the complexity of our layout, could I create multiple maps by section? Yes. You could potentially create a different "cemetery" for each different section, which would give you the ability to have a separate map for those sections. Do I need Windows to use the Advanced Map Editor? Yes. But, there is a browser-based simple map editor available to you, and this editor will work on any operating system. The advanced map editor does offer more features and is easier to manipulate, but is not your only option. If I log in to the online version as a guest, would I be able to see what reports look like? Yes, you may certainly run reports. There are some options that are disabled in guest mode (such as uploading and exporting), but for the most part the demo mode is fully functional. How do we get updates? For the desktop version you can request to receive emails regarding updates. For the online version, updates are applied instantly, nothing for you to do. What if we have four grave identifiers instead of three? Some cemeteries use more identifiers than are currently available in the software of Section-Lot-Grave. For example, you might have Section-Lot-Block-Space. When this happens we suggest merging two of the identifiers together... perhaps Section/Lot-Block-Space. It says that images can be added to the files. Can we add a .JPG image for each grave? Absolutely. You may add ad many images as you like and they can be in JPG, PNG or BMP format. Keep in mind that images can take up a lot of space in your database, so for best results you should resize your images BEFORE you upload them. Preferred image sizes are 800x600 or smaller. I don't have a full date-of-birth or date-of-death, only the year... how can I input this into the system? This is an extremely common question, but not one that most people like the answer to. Since the database stores dates as a whole calendar date (month, day and year), inputting just a year is not really an option. However, what I typically suggest is that when only a year is known (such as 1844) that you input the date as 1/1/1844. Is there a template for importing records? Yes, you can download it by clicking here. I am having problems with the colors on the map... how do they get assigned? The color-coding on the map is done automatically by the software according to the data that you have in your files. Most importantly, the map locations must match the database locations for color-coding to operate. If a record in your database is Section: A, Lot: 1, Grave: 1... then your map grid location must read: A,1,1. Records that have no interred or sales information will be colored white. Records that have an interred date will be colored red. Records that have an interred name or a purchaser name, but no interred date and no sold date, will be colored yellow. Records that have no interred information but have a purchase date will be colored blue. When you visit the reports section you see a grid to create an Advanced Report. You simply include the columns that you want for your report, determine how you want those columns sorted, and then add any filters that you may want to make your report unique. Can I input records from more than one computer? With the online version, yes, anyone you deem allowed to log into your account (via the Security feature) may input data on your behalf, providing they have an internet connection. For the desktop version, you must be on a network with all computers connected and pointed to a shared data folder for this to work properly. We have an elaborate numbering system on our existing map, will this work with the software? Likely yes, there is always a way. There are three identifiers that the software uses to identify the individual graves of your cemetery. The section, lot and grave location. Each one of these identifiers is alphanumeric, meaning that it can contain letters and numbers in any combination and can hold up to 10 characters each. So if your primary section is "ABC" and your sub-section is "12E43" and your first grave is "101" then this will all perfectly fit into the software. If you have more than one sub-section I would urge you to try to merge this into either the Section or the Lot fields. Can my map be transferred into the software or do I need to re-create it myself? There is no current "import" process for the map. You are encouraged to try to create the map on your own using the built-in utilities of the software. However, if desired, we could create your map for you for an additional fee, depending on the complexity and time involved. Is there a better way to print the reports? Yes, you can click on the Export to Tab-Delimited Text button above the report which will allow you to export the contents, and then you can open that file using Microsoft Excel. Start Excel first, then do File/Open and point to the downloaded file, then select delimited by tab. You can then define the column types and the file will be displayed. From here you can do anything you like with the data including printing. What happens if my automatic renewal fails? If you're using the online version, you subscribe by clicking on the REGISTER menu and using PayPal to start an annual subscription for the service. If that payment fails, we cancel the subscription so that you can start a new subscription. Failures typically happen because a credit card has expired, but other factors could be involved also. We have no control over the payments, as they are processed through PayPal. Your data is not lost, but your account would be deactivated, and if no payment is made within 90 days of the cancellation your data is removed from the server. Can the map be printed? The short answer is no. The long answer is that we don't offer support of this because the tool we use to generate the map does not export well to a printer. You "can" print the map, in color, in both the desktop and online versions, but you likely won't get the results you were hoping for. In the desktop version, you would go to the map view, set the Zoom level to what you'll want (if you want your map to be large like poster size you might choose 500%) and choose the Print menu, then choose Print Whole Map. This will print the map in sections on 8.5x11 paper which you would piece together like a giant puzzle. The online version is even less advanced and you can only print what you have in your browser by using the CTRL-P keys on your keyboard while viewing. It should be noted that map printing is also not supported because the nature of an interactive map is that it will be constantly changing every time your database is updated, thus making printouts obsolete every time you input new data. Can we use both the desktop and online versions at once? We do not recommend this. However, some users do feel a comfort level having both versions, where they primarily use the online version, but then run backups to the desktop version for data safe keeping. If you do opt to use both versions, you should note that you cannot expect to "merge" these two databases together. You can only overwrite one to the other. Also you should note that you can download from online to desktop any time you like, but uploading from desktop to online can only be done by us and by request, which takes much longer. How long do you plan on staying in business? Well, my crystal ball is on the fritz, so I'll have to get back to you on that one. What is the Family Association field? This field was put into place by request of a long-time user many years ago. The intent was that if a family purchased multiple graves, the patriarch would be identified for the group. So for each grave record of the family group, the Family Association would be set to the primary record patriarch. This is a personal preference on whether you want to use this feature. It is not included in reporting or any other functions within the software other than on the data view screen. Does our trial data stay after we register? Absolutely. Registration simply unlocks the trial period expiration of your account (if you use the online version) or your software (if you use the desktop version). You will be using the same software and/or account, it will just not have any restrictions. All your data will remain just as you have it during your trial period. Can this software be used on an iPhone? Yes. The online version can be used on an iPhone, an iPad, and anything considered a "smart" phone (such as Adroid) device. I had to get a new machine but my registration information isn't working with the newest version, what can I do? We always recommend you keep your installation routine from the time you registered your software. That way, if you need to re-install, you won't have any problems. If, however, you do not have the original installation routine, or you've moved from an older operating system to a newer one that doesn't support your older version, then you must download the latest version of our software (this applies to desktop version users only) and then re-register (yes, that means re-pay) for the newer registration information. What operating system and database engine is used for the online version? We use all Microsoft products. Windows Server and Windows SQL Server. The server is located on premises in the Orlando, Florida, area. We do not use a security certificate because that adds unnecessary overhead and would affect the cost involved in providing this service. The data we store is not of a nature that would require a secure socket layer, and we certainly would not encourage account holders to create custom fields that would contain sensitive personal information. If your organization requires security above what is offered for this service, you are encouraged to seek other avenues. It should be noted that we do not process your account payments on this site. We use PayPal for that service, which is 100% secure. We do not know your credit card numbers, nor do we want to. Why does the browser say the site is not secure? There are times when the online service speed is sluggish. Why is this? There are a lot of different factors that could account for slowness in speed. Such as our internet provider, your internet provider, any internet disturbances in between, and the fact that at any given time we may have dozens of users accessing their accounts and performing actions such as map display or report generation.